Today was supposed to be an awesome day. I was excited to come home, play the team’s awesome work for myself and share my enjoyment of the new update with all of you here. Unfortunately that didn’t happen and I find myself in a position unable to post the Club Penguin Island Daily Challenges. It’s annoying and disappointing but what can you do? But also, I have a school trip soon so I’m going to be inactive until the 30th of May, meaning no posts. I will be back soon though! Before I leave, I would like to talk for a bit. 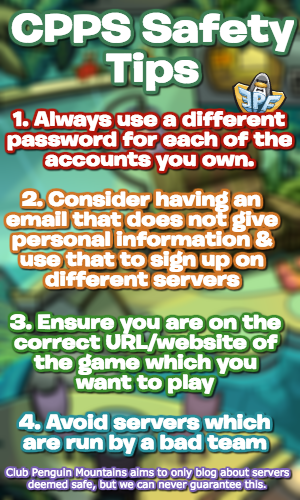 This is a temporary leave from Club Penguin Island blogging but a permanent one hasn’t crossed my mind. The game just hasn’t lived up to my first expectations and thoughts when playing it. The new update is fun for about a week and then it’s another 4 weeks of boredom and having to go through what can sometimes feel like a chore to post the Daily Challenges. Now, I’ve not played 1.3 yet because of the messed up system of only a handful of users being able to play so I won’t comment further. I will say that I’ve been considering changes. 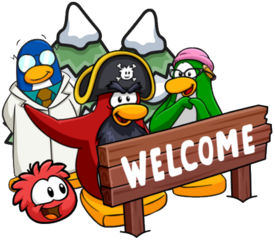 A change that will likely come this Summer is posts about Club Penguin Rewritten – a private server which attempts to restore old CP. I’ve been enjoying it a lot recently and it’s a lot easier to make posts about something you can enjoy to that scale. If Disney wanted to take down CPR, they could’ve and since they have not, I see no reason why it should be a problem in regards to ethical details. But I do want to hear your thoughts about this first. My hope is that this will balance out the repetitiveness of Club Penguin Island blogging – something news, something fresh, something fun. I’ll leave you with an exclusive look at the potential header if this change was to go ahead. Fear not, if you don’t want to read posts about one of the games, you can ignore them with a tap of a button. But here’s a poll which I would appreciate your opinion on. Well, these are some thoughts I wanted to share but also letting you know once again, this blog will be inactive until the 30th of May. Thank you for reading Club Penguin Mountains and have an awesome week! Bye dude! I hope you have a good week! Continue on your adventures! See you soon! I put the links in the place where they would go in the directions. OH TERRY WE LOVE YOU!